September 1, 2018—With 9 years in the DL history books let’s check out who the biggest all-time overall winners have been since the series’ inception in ’10. 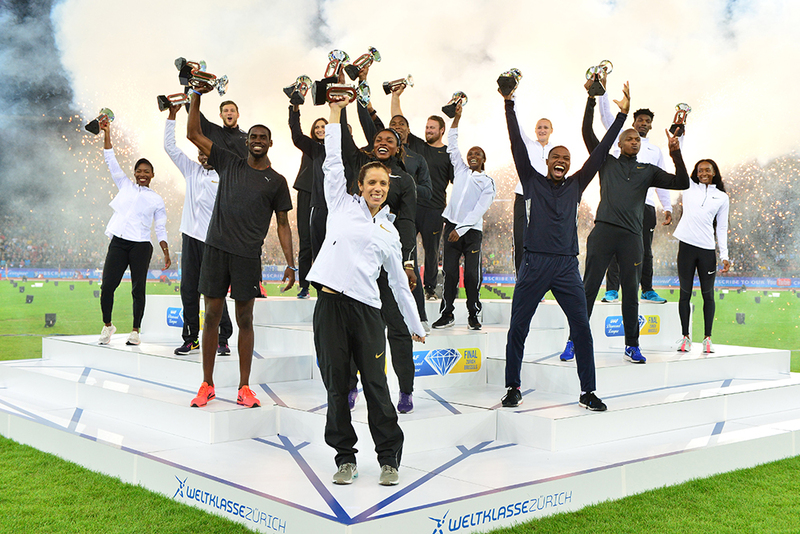 There has been only a single 7-timer, French vaulter Renaud Lavillenie, who won the first 7 in a row. And only a lone man—Christian Taylor in the triple jump—has won 6 out of the 9 years. Sandra Perković (discus) & Anita Włodarczyk (hammer) have done the same on the women’s side. 3 women— Caterine Ibargüen (triple jump), Valerie Adams (shot) & Barbora Špotáková (javelin)—but no men have scored 5-spots. There are 3 men—Conseslus Kipruto (steeple), Piotr Małachowski (discus) & Paweł Fajdek (hammer)—with 4 titles. Women can also claim a trio of 4-timers: Milcah Chemos (steeple), Dawn Harper Nelson (100H), Kaliese Spencer (400H). The best current streaks are Włodarczyk at 6 and Kipruto, Caster Semenya (800) & Katerína Stefanídi (vault) at 3. Every event has had at least 1 multiple winner. No man has ever won 2 DL titles in the same year, but 5 different women have done it: 100/200—Carmelita Jeter ’11, Shelly-Ann Fraser-Pryce ’13; 200/400—Allyson Felix ’10, Shaunae Miller-Uibo ’17; LJ/TJ—Caterine Ibargüen ’18. Only 2 winners of an inaugural DL title in ’10 competed again in this year’s version: Bershawn Jackson (400H, 7th) & Lavillenie (5th).